What’s more, we have a large fleet of moving trucks and highly specialized movers that will be able to set-up and wire your workstations so they’re ready for use in no time. 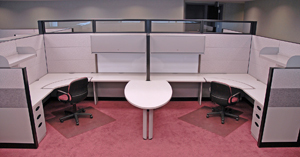 If you would like to inquire about the used workstations we currently have available for your Orlando, FL, business, contact ROF today. Also, be sure to ask about the financing options we offer to qualified homeowners.